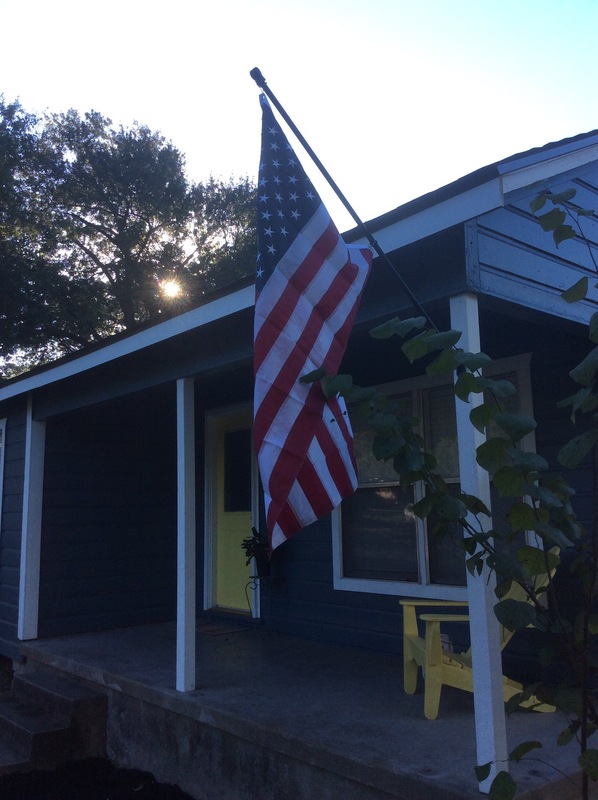 My son, his wife, and our precious granddaughter live in our rental property in Huntsville. It is a decent sized corner city lot but in addition to the house on the lot there is a garage apartment. The back yard is almost always in the shade because of the two story unit and mature trees that surround the yard. In spite of living in the city and not having a great space for a garden, the kids want a garden. The best plan for them is a raised bed in the side yard. 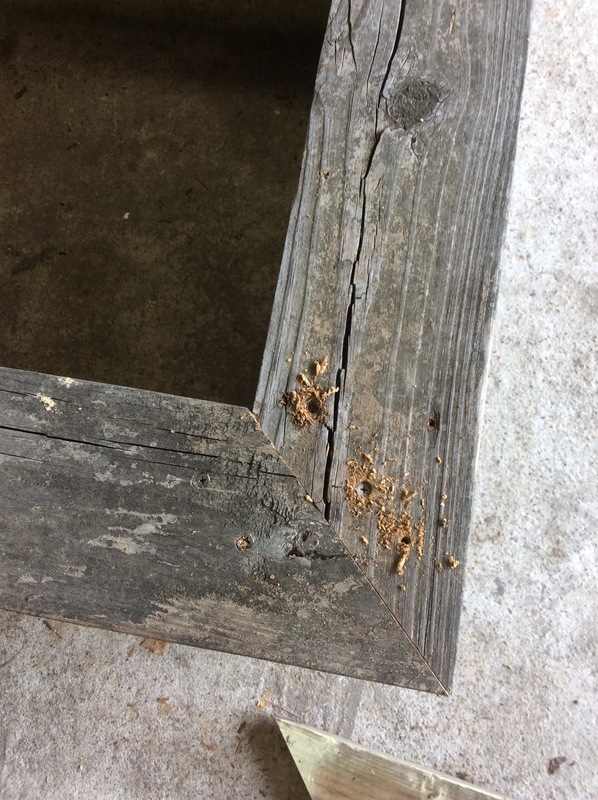 Using all reclaimed material and deck screws Mr. 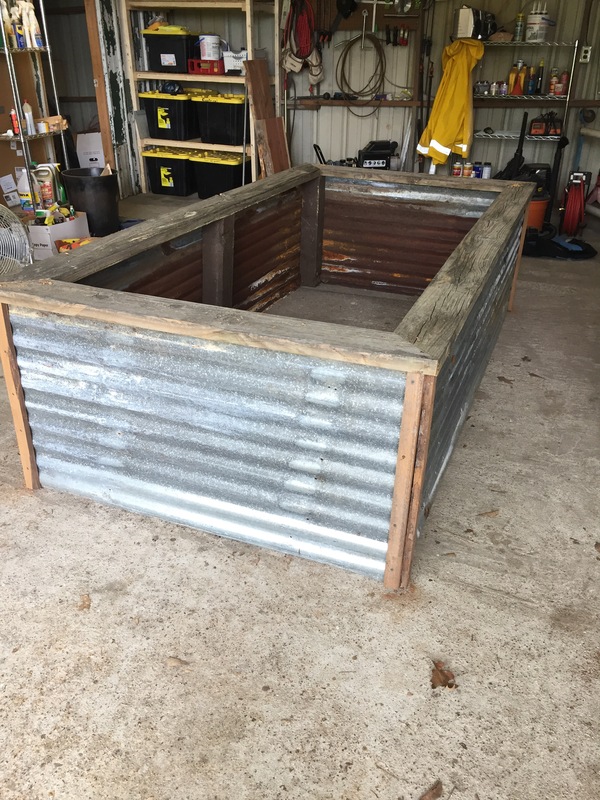 Math was able to whip this raised bed together in about an hour. 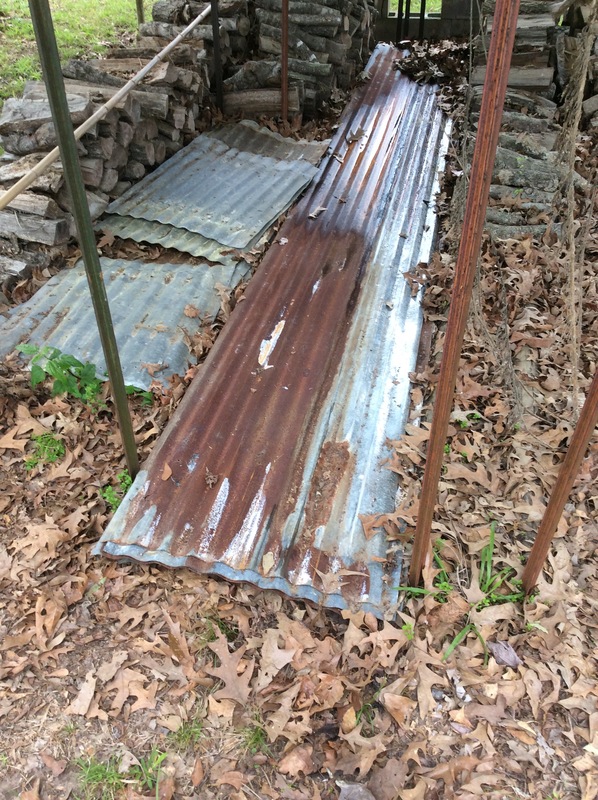 We are hoarders of reclaimed wood and corrugated tin. I know we have a problem but we plan on putting a ton of it to use this summer. The tin we used for this project was actually left by the former home owner. He was a bit of a hoarder, too. 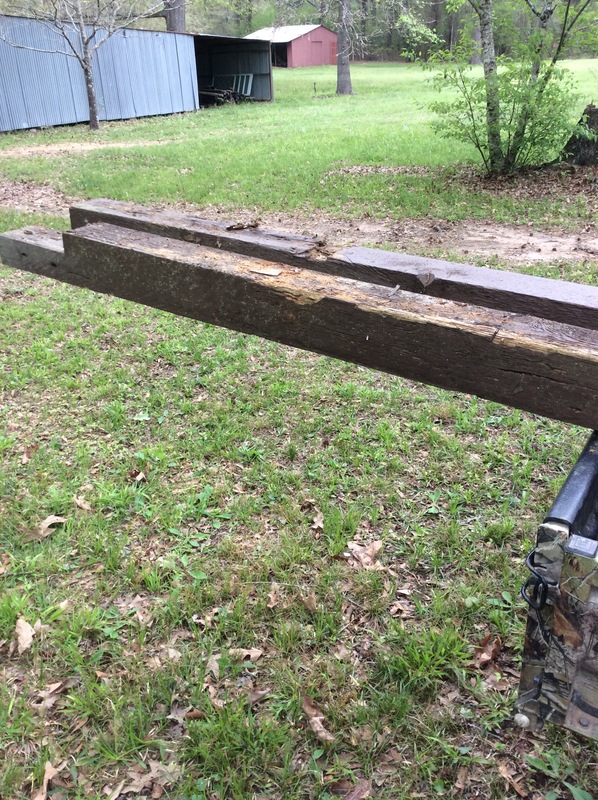 The cedar 4 X 4 posts were given to us years ago when our friends replaced their lakehouse porch posts. They were solid except for the bottom where they stayed wet. 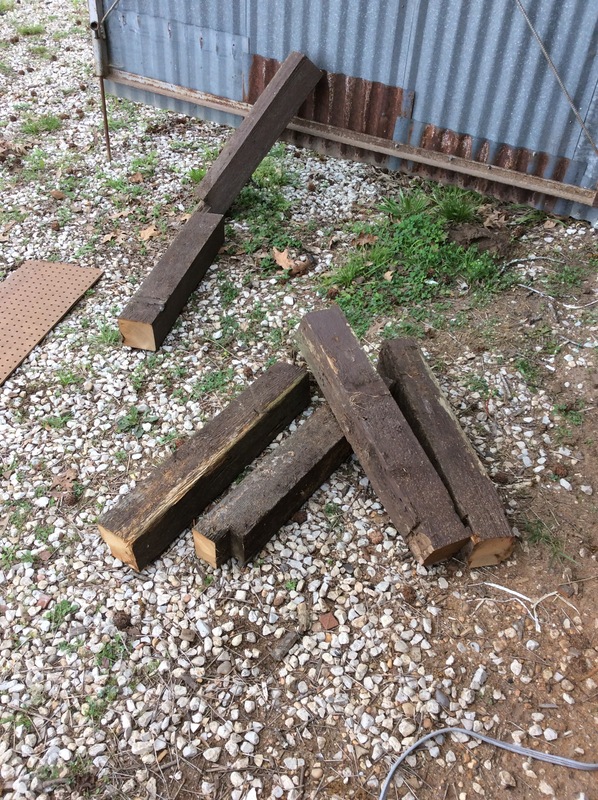 The rest of the wood came from a dock that was torn out near us. The wood is in great shape. The pile above was where we collected the wood. Mr. Math has a special circular saw blade that cuts metal. 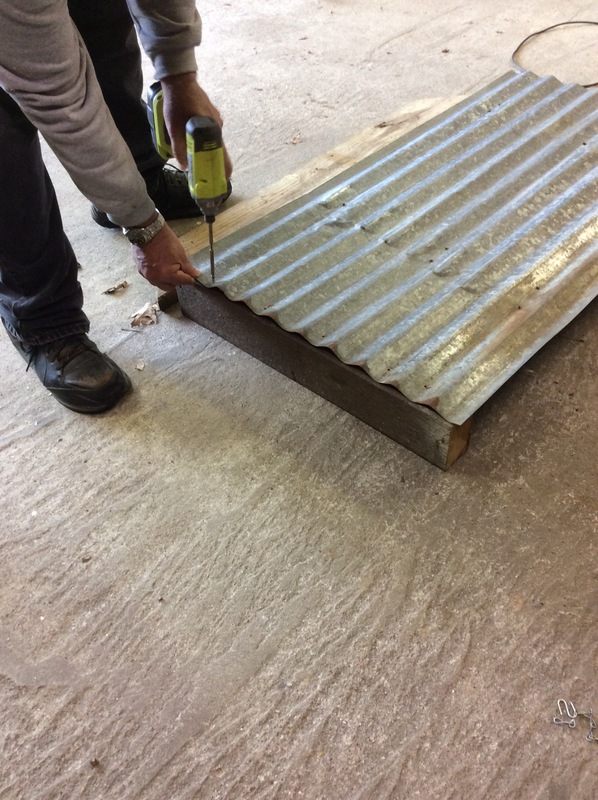 It makes short work from cutting corrugated tin. It actually took him longer to change out the saw blade than to cut the metal. The bed is 4 feet wide and 8 feet long. 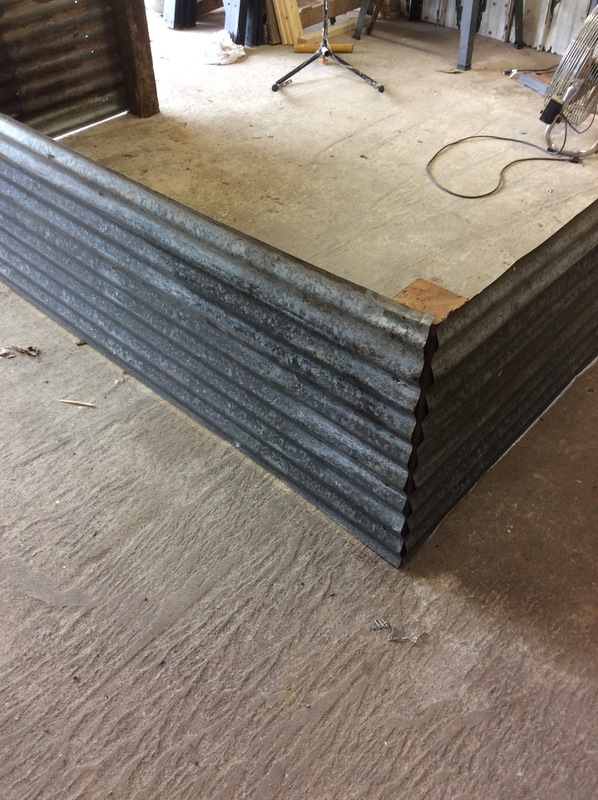 We used a full width of tin to make the sides. That is a little higher than normal but we wanted it to be high enough to sit on the edge. Mr. Math cut the posts to length then attached the 4 foot section to the posts first, then the long pieces and added a post at four feet on the long sides. Next he added the reclaimed wood to the top edge. 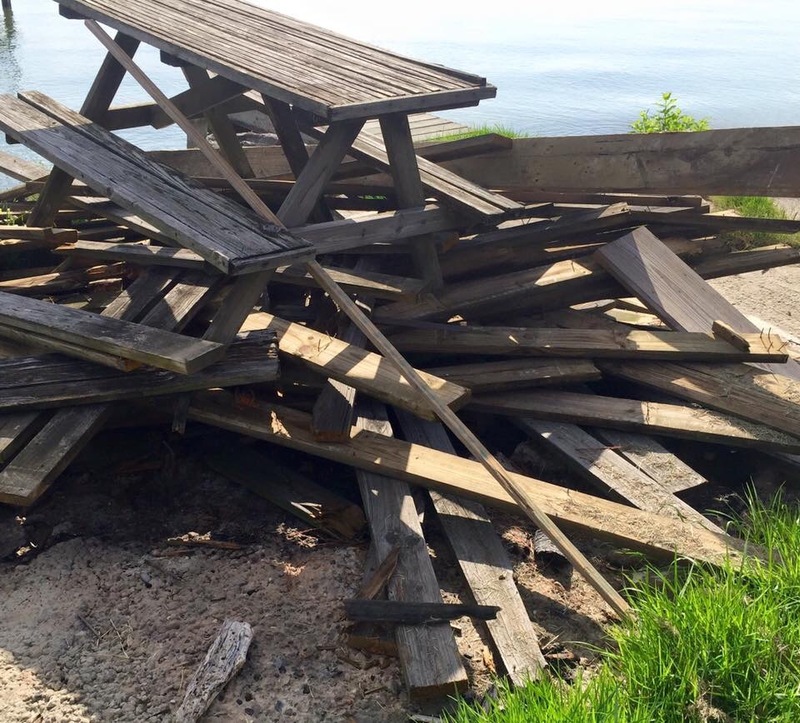 We did not put any of the dock wood where it would come in contact with the soil. We aren’t too keen on treated wood coming in contact with food. This wood has had a lot of exposure to water and sun so we are not too worried about sitting on it and I plan on sealing it with marine varnish. Mr. Math used two by six boards on the top to make the ledge that he attached directly to the cedar 4 X 4 ‘s. Can I just say how impressed with his mitered corners? He does good work. We put the rusty metal inside for this project. The house isn’t as rustic as ours and would have looked a little funny, but our next project will be all about the rusty metal. I will post pictures when it is installed. Landscape fabric at the bottom, then a little hay that has been outside and is no longer useful for feed, then garden soil. They plan on tomatoes, peppers, beans, squash and who knows what else. Thanks for following along on our adventures.